Hi, friends! Happy Thursday! I’ve decided I’m going to start a new weekly post, “Thursday Top Ten.” I’ve noticed that I will randomly find items and links throughout the week that don’t necessarily “fit” into other blog posts, but are still things I want to share! Hoping these will be quick and easy blog posts to work your way through, while still adding inspiration and fun! Thanks to my friend Katie from Life With a Dash of Whimsy, I picked up this shirt from Target this past weekend and am OBSESSED. The quality is actually really good for such an affordable price. I foresee this being a spring staple in my closet. P.S..This photo doesn’t do the shirt justice…it’s a true cornflower blue stripe and SO pretty!!!! Spatulas are one item I can never have enough of in the kitchen, especially while baking! These bright colors are perfect for Spring, and would look so pretty in our new kitchen! I can’t even tell y’all how in love I am with this light fixture. Whimsical, yet classic. I’m scheming to find a place for this in our home! Did anyone else grow up watching The Brady Bunch? I loved this show! While the exterior of the home was a real home, the interiors seen in the show were filmed on a set. 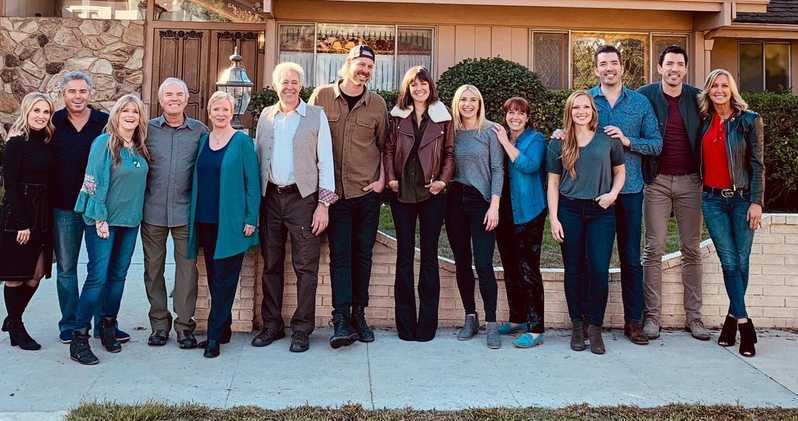 However, when the house that was used for exterior shots went for sale recently, it was purchased by HGTV and each room is going to be restored as close as possible to the way it would have been during the 1970s show. I cannot wait to follow along with this! I recently switched from my Urban Decay Naked Skin Foundation to this product and I have loved it! It covers exactly what I want, without looking too cake-y. It’s a light coverage, but buildable enough to cover any imperfections I want hidden. Plus, the ingredients are safer than conventional beauty products and not filled with potentially toxic ingredients. I was enthralled with this show when it was on air, and cannot wait to see the movie that is slated to come out later this year! Click on the link above to see some snapshots of what’s to come! Earlier this year, I realized I really didn’t have many hobbies (seriously!) and remembered how much I love to needlepoint. It’s a great task to do at night while watching TV, but still creates something beautiful in the process. It also gives my eyes a break from endless screen-time. This canvas above would be so pretty when finished and turned into a little throw pillow! I’ve never met a blue and white piece I didn’t like, and this is no exception! I particularly love the gold accents around the rim. While I already own (and LOVE) a KitchenAid mixer, I love love love this style. The powder blue is so pretty, but I’m most enamored with the hobnail bowl. Because I didn’t know what our kitchen would look like when I registered for our mixer, I originally chose a white KitchenAid so it would be neutral enough. Now that our new kitchen is going to be all white, I would love to add this on the counters for a pop of color, while still staying somewhat neutral. After finally rejoining the gym, I’ve realized my white tennis shoes have seen better days. While I love the look of white shoes, realistically, they are hard to keep looking pristine when genuinely using them to exercise. These blue tennis shoes have certainly swayed my love of all-white! This blue is so pretty and just the right pop of color. I hope y’all have a great rest of your week! Would love to know if you like the idea of these quick round-ups, too!